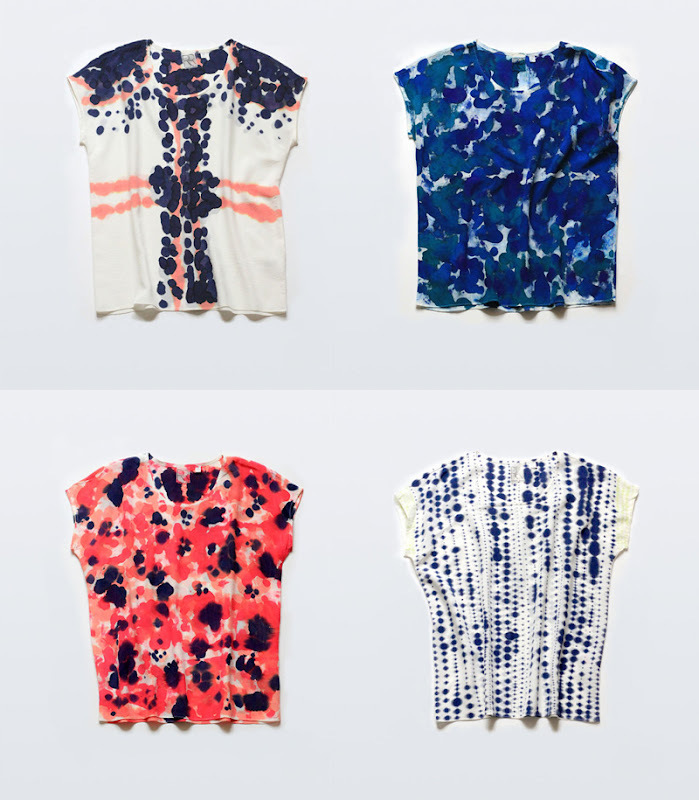 Hand-painted silk tees by Rachel Rose. They're like a much more sophisticated version of tie-dye. These are so pretty! I'd wear them with dark skinnies and tory burch flats.